A whirly bird installation for your Sydney home or business helps to keep heat and moisture out of your roof. B.S. Roofing Repairs has over 26 years industry experience, and when it comes to your whirly bird installation, we will make sure that you receive a quality job, on time, and on budget. Our range of whirly birds are smooth and quiet in operation, are suitable for most roofs, and are available in a wide array of colours. And due to our experience, we will make your whirly bird installation a breeze. 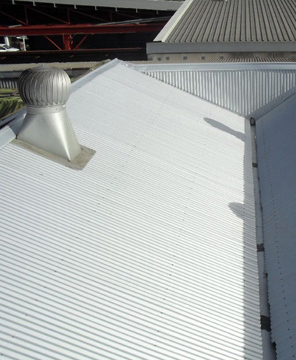 When it comes to your whirly bird installation, choose the leading Sydney roofing contractors you can trust. Please contact us today for more information. We provide first class whirly bird installation services in Penrith, Blue Mountains, Windsor, Hills District, Sydney's Western Suburbs and the surrounding areas. For expert advice on your whirly bird installation project, Contact BS Roofing - licensed and insured roofing experts contractors, today to organise your free, no obligation quotation.